The Public Affairs Office is the Adjutant General's Department's point of contact for community requests for the state of Kansas only. We can not assist with requests for other states. Please submit requests for military fly-overs, static displays, cannon salutes, color guards, speakers and similar support from the Kansas National Guard in writing, either by mail or e-mail. Please include as much detail as possible, including date needed, type of request, organization name, type of event and a point of contact. These requests require approval from the Department of Defense. Please allow a minimum of 90 days in advance of the event. See Below on Specifications on how the Kansas National Guard can Support your Future Event! 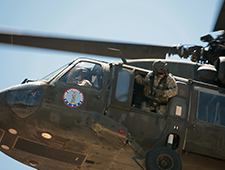 To request a static display (click here for an example) or a flyover (click here for an example) of a Kansas Army National Guard UH-60 Black Hawk helicopter, please fill out a DD2535 (Request for Military Aerial Support) form. The form needs to be sent to the FAA for completion of their portion (Section IV Federal Aviation Administration Coordination). Once FAA has approved the form, a copy of the form (to include the FAA portion) needs to be e-mailed ng.ks.ksarng.list.staff-pao@mail.mil. The form can also be faxed to 785-646-0099. 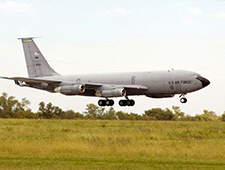 To request a flyover of a Kansas Air National Guard KC-135 stratotanker please go HERE and fill out a request for aerial support on-line. If your event is approved by the Secretary of the Air Force Public Affairs you will receive an approval letter. Once the approval has been received then forward both the completed DD2535 and the approval to the Adjutant General's Public Affairs Office by e-mail to ng.ks.ksarng.list.staff-pao@mail.mil or by fax 785-646-0099. The Public Affairs Office will contact you if the Kansas Air National Guard will be able to support your request. Please note that that approval by Secretary of the Air Force does not guarantee that the Kansas National Guard will be able to support your request. 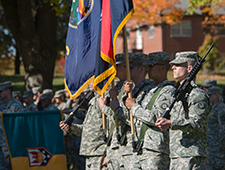 To request a static display, military band, cannon salute or a military color guard for your event, please fill out a DD2536 Request for Armed Forces Participation in Public Events - Non Aviation form. Instructions for completing the DD2536 are located on page 2 of the form. After completing the DD2536 send it to the Adjutant General's Public Affairs Office by e-mail to ng.ks.ksarng.list.staff-pao@mail.mil or by fax 785-646-0099. The Public Affairs Office will contact you if we will be able to support your request. Please note that completing the form does not guarantee that the Kansas National Guard will be able to support your request. 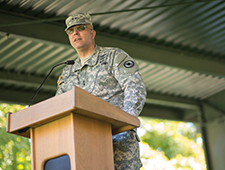 To request a military speaker for your community event please fill out the DD2536 - Request for Armed Forces Participation in Public Events (Non-Aviation). Instructions for completing the DD2536 are located on page 2 of the form. After completing the DD2536 send it to the Adjutant General's Public Affairs Office by e-mail to ng.ks.ksarng.list.staff-pao@mail.mil or by fax 785-646-0099.